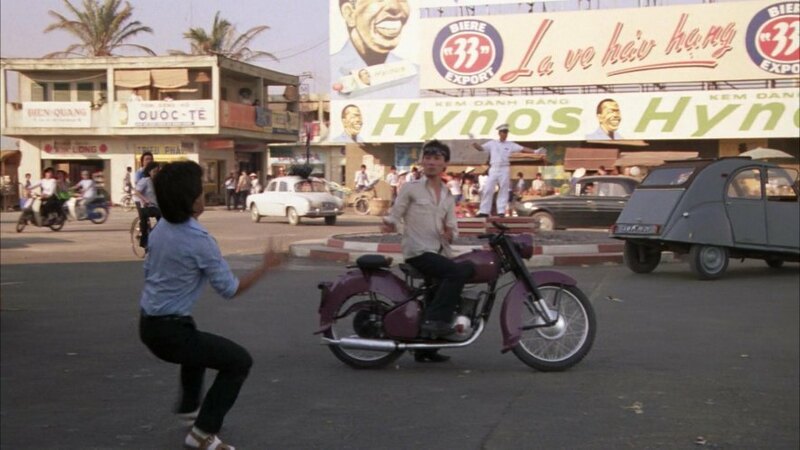 IMCDb.org: 1955 Peugeot 176 TC4 in "Full Metal Jacket, 1987"
Where are our bike experts? What it looks like is a BSA Bantam from the early 1950s. That bike was based on a prewar DKW as was something that Harley built and also others. The guards on this one look odd - maybe it is a license built one from somewhere?? or maybe the guards have been modified? Full Metal Jacket était tourné en Angleterre, ainsi cette moto probablement n'etait pas assemblée en Vietnam.